The Harrell House Bug Museum is a unique, family friendly experience located in Santa Fe, New Mexico. Our current exhibits include the astounding Crawlywood Collection, Oliver Greer's collection of 2.400 (4,700 since we moved!) mounted insects from around the world which boasts some of the largest and rarest insect and arachnid specimens you will see ANYWHERE! 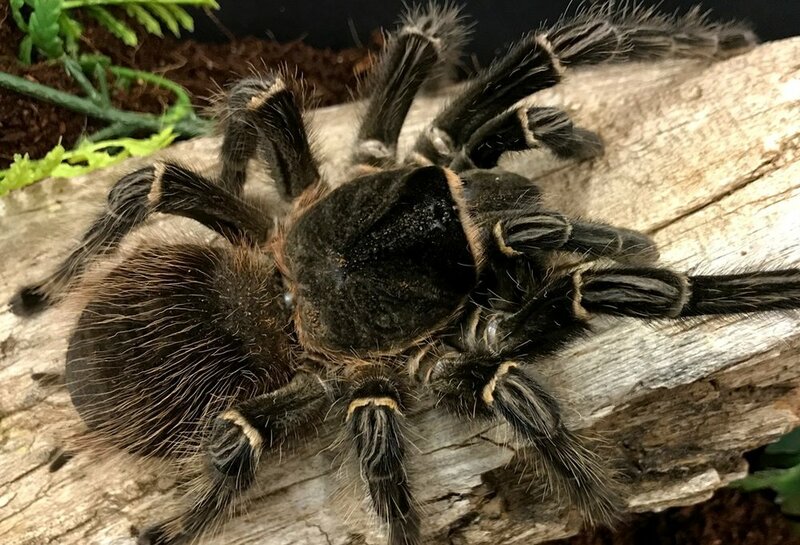 We also have a collection of over 150 LIVE animals including insects, spiders, scorpions, millipedes and more, as well as reptiles, amphibians and fish! You even get to TOUCH or even HOLD a few of our friendly LIVE bugs! At 4:00 every day we feed some of our live animals! Be sure to check the feeding schedule to see what we feeding today!